← Alright people, wrap it up! I love to begin my day by taking my time to wake up, enjoying the quietness in my apartment, praying and making myself a simple breakfast. I wish I could do this more often but working at a coffee shop means that I have to be there before the sun has even thought about shining on NY. So, the days that I get to, I relish in it. 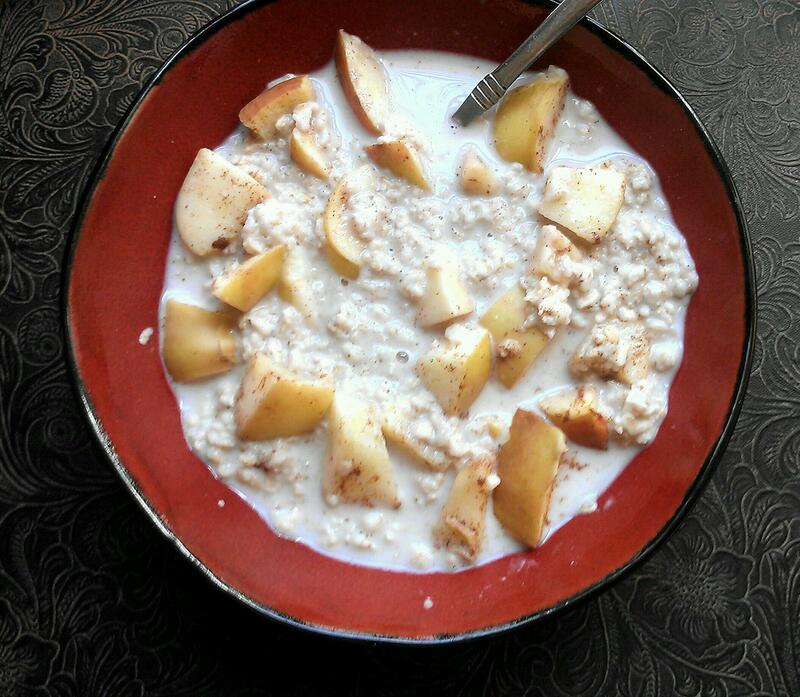 This morning I made Bob’s Red Mill gluten-free oatmeal with warm apples, cinnamon, pumpkin spice and coconut/almond milk. You can use a microwave like I did or cook it on the stove. Whatever makes you happy. Speaking of happiness, I can assure you that cute videos of puppies, kittens and babies will always bring a smile to my face. Love this! My happy is enjoying a great book with a warm beverage! Oooo, yes! That is definitely a happy moment for me, too! Love it.